Days after the death of his mom, One Direction member Louis Tomlinson performed an energetic performance in X Factor. Louis mother, Johannah Deakins, passed away last Wednesday after battling with Leukemia. Aside from Tomlinson, she leave behind her 6 other children Lottie (18), Felicite (16), twins Daisy and Phoebe (12), and another set of twins Ernest and Doris (2). It was revealed that Johannah was excited to see her son perform on the show that made Louis famous but unfortunately it did not happen. The tragic news was announced last Friday before the 1D member appeared on the popular music competition franchise singing his latest single “Just Hold On’. The new track was his collaboration with record producer Steve Aoki. After his performance, the judges gave him a standing ovation then Simon Cowell gave him a touching tribute. The music mogul said that he had known Louis for 6 years and he respect him as an artist, and as a person. He added that his mom is surely proud of him. The 24-year old British singer can be seen holding back his tears before thanking his millions of fans in twitter for their utmost support. He tweeted that it was harder than he ever imagine but it became special because of his amazing fans. 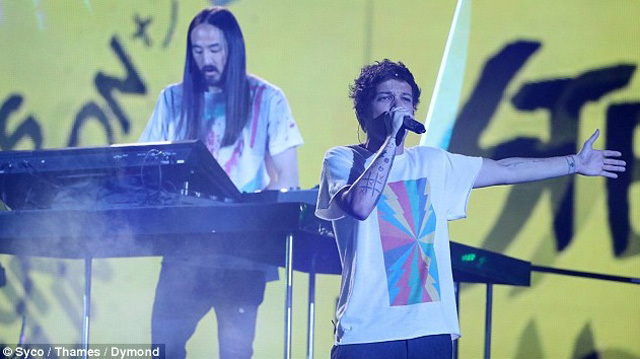 Louis also thanked Steve for being such a rock and inspiration. Other One Direction members, Harry Styles, Liam Payne, and Niall Horan also attended the X -Factor Final to show their support behind their friend. Sources said that it was a touching moment backstage and you can see the unity in their group. It was also the 1st time that the 4 reunited after a year of hiatus. Louis ex-girlfriend Briana Jungwirth also paid tribute on his mother and it wrote that she will always remember the times that they shared. The mother of their 11-month old son Freddie also added that Johannah aspires her as a mom. Meanwhile former 1D member Zayn Malik reportedly put aside his differences with Louis to show his support by contacting him privately.